UMass Lowell thought it was saving the biggest news of the night for the end. Oprah Winfrey had even bigger news. 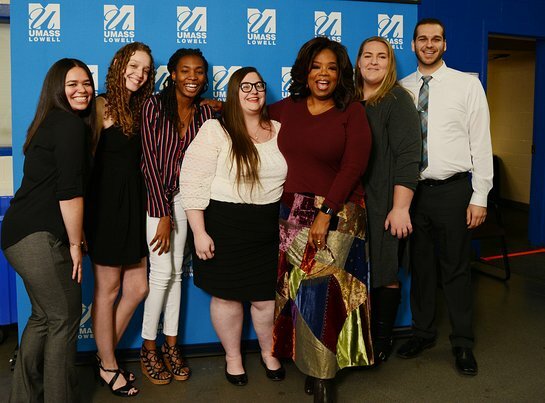 Oprah Winfrey poses with the first six UMass Lowell Oprah Winfrey Scholarship winners. After Chancellor Jacquie Moloney announced that UMass Lowell had raised more than $1.5 million for scholarships at the Chancellor’s Speaker Series Nov. 15, Winfrey pledged on stage to match it. 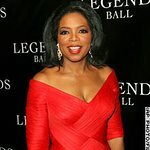 “The only way you change a life is by changing the way someone thinks about their life and you do that with education,” Winfrey said.